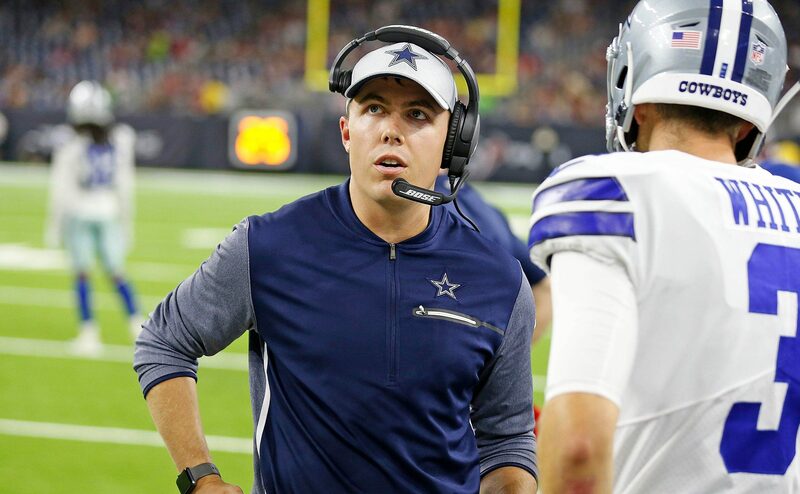 The notion that current Quarterbacks Coach Kellen Moore will be promoted to Offensive Coordinator has divided many Cowboys fans. The idea is growing on some, but others remain very opposed. Is he really the right guy to help Dallas' offense get to the next level? Yesterday, one of my fellow Inside The Star writers gave his reasons why Moore's promotion could be a positive for the Cowboys. I decided to play devil's advocate today and give three reasons why it would not be a good move. For the record, I'm not opposed to the move. I don't want some retread like Todd Haley or Mike McCoy, who have been fired from more than one NFL team in their past. What innovation can they offer at this point? But at the same time, do you really want a guy whose never held the job at any level before now? That leads us to my first reason for being against Kellen Moore. Even Sean McVay spent three seasons as the Redskins' OC before he got his job in Los Angeles. Moore was playing QB just a year ago and has spent one season in a true coaching role. I know he was credited for being an assistant to the coaches during his playing career, but you'd still like a guy whose spent a little more time with a clipboard in hand. Kellen could be a genius, and there are often reality checks that come whenever you step into a larger role. We often see something being done and think we understand, even thinking we could do it better, but then discover nuances and challenges that we didn't recognize before. Most of the greatest QBs to ever play the game didn't have strong rookie seasons. Of course, there's talk that Moore's role as OC would be supplemented by a lot of experienced assistants. Tight Ends Coach Doug Nussmeier has been a coordinator on the college level for high-profile programs like Alabama, Florida, and Michigan. We could even see Jason Garrett gets more hand-on with the offense again. 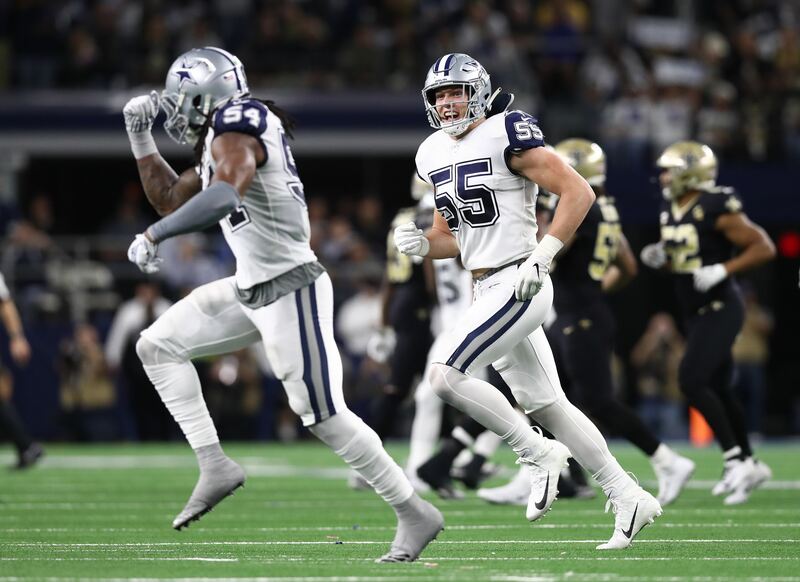 Perhaps Kellen would give a fresh approach and outlook that would push the Cowboys' offense forward in 2019. But you have to be concerned about his lack of experience, regardless of how highly you rate his potential. If you didn't like Linehan's work with the Cowboys then you may be concerned that he's had a lot of influence on Kellen Moore's offensive philosophy. Between Dallas and Detroit, they have been together for all but one of Moore's seven years in the NFL. Linehan was the Lions' OC when Moore signed with them following the 2012 draft. When Scott was fired by Detroit after the 2013 season, he came to Dallas while Kellen played one more year with the Lions. In 2015, Linehan played a key role in getting Moore signed by the Cowboys. That said, we have no way of knowing how much Linehan has shaped Moore's ideas about football. It's only a hypothetical, but one that shouldn't be ignored. It's entirely possible that Kellen may have learned some good things by observing Linehan, too. "What not to do" can be valuable experience. Perhaps Moore was shaking his head at some of Scott's calls and decisions as much as the rest of us. I take some confidence in the fact that Jason Garrett, who knows offense, would be willing to make this move. His job is on the line and the willingness to give Kellen Moore increased responsibility means Jason must see something he likes. It also would mean he doesn't blame Kellen for our third reason. This is the clearest and most concerning evidence against Moore's ascension on the coaching staff. In his one year as Quarterbacks Coach, there was no sign of development in Dak Prescott's performance from his rookie season. Also, Cooper Rush's play in the 2018 preseason was a clear regression from last year. But only insiders know how much of this is about the coach as opposed to players and other factors around them. Was Kellen wanting to coach things that didn't align with Linehan's offensive strategy? Was Moore really getting to do things his way? 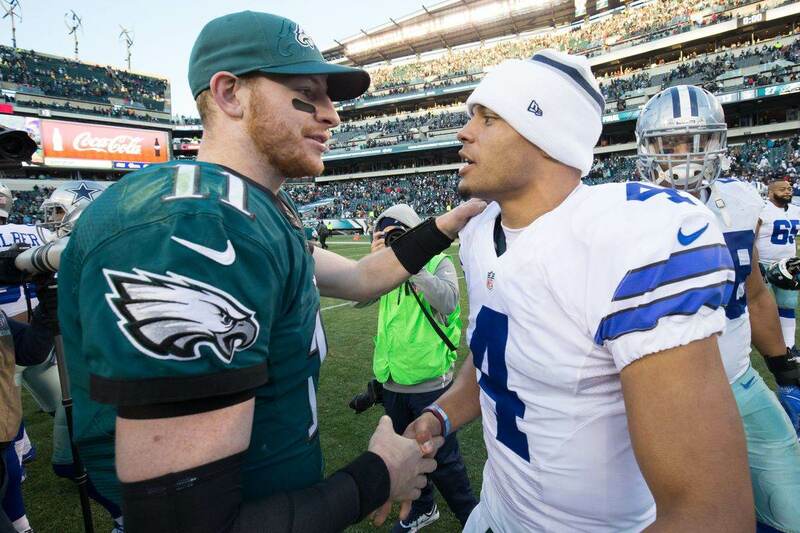 Most would agree that Prescott's play got better as the season went on, and perhaps that's a feather in Moore's cap. In fact, it could be a sign that Kellen also improved in his role over time. As for Rush, we've seen plenty of one-hit wonders in sports. Guys can get hot and cool off, and perhaps what we saw last August was closer to reality than his 2017 play. But as smart and savvy as Kellen Moore has been praised to be as an offensive mind, there's no denying that it didn't seem to rub off on the Cowboys quarterbacks this year. Communicating and teaching what you know to others is a separate skill. Ultimately, we don't know what kind of offensive coordinator Kellen Moore could turn out to be. But there's evidence on both sides of the argument, and the Cowboys will be taking a serious gamble if they elect to promote such an inexperienced guy to such an important role. But in this era when everyone is looking for the next creative and innovative offensive mind, maybe it's the exact move this team needs.